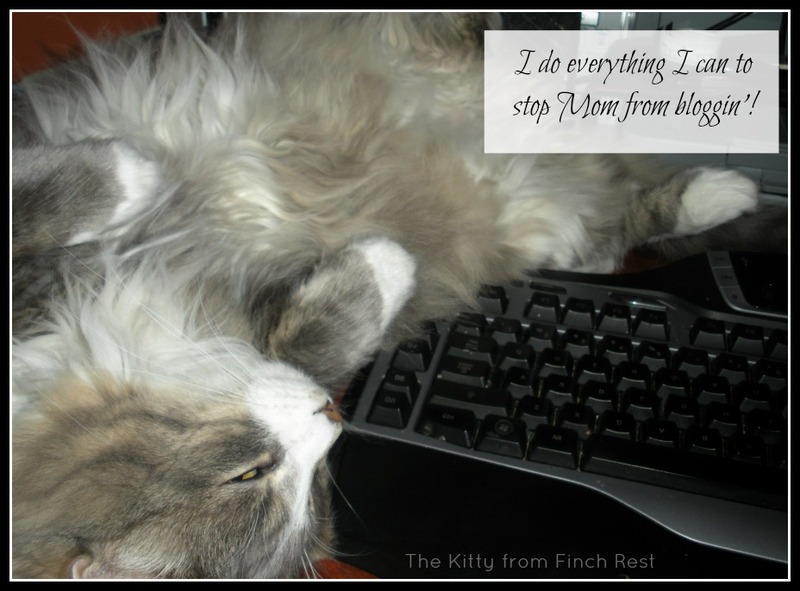 The Nest at Finch Rest: Silly Kitty! We have a LOT going on here at this nest lately. had to be moved this week as well! in bubble wrap for safe keeping! and we even got a little "help" from Romeo the Kitty! he hoped my blogger readers would find it funny, too. being the UnHelper Kitteh that he is know to be! He really is a clueless sweetie sometimes. Oh he's funny! His own little merry-go-round! What a lot of work. I'm sure that it will be worth it all! He's too cute Michele. Sure hope he doesn't get dizzy! Packing all that up is a job. Can't wait to see when it's complete. We are on to painting our basement. Cupboards installed soon. Can't wait to see. We laughed and said it was an irony SHE helped with the china - in normal circumstances she wouldn't come near it. She is a heavy stoneware mug kinda girl. Haha.